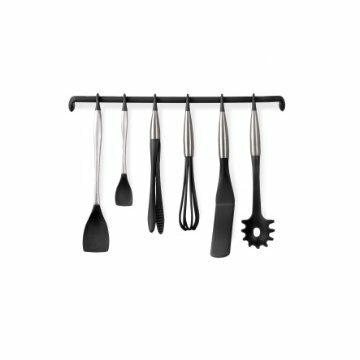 The benefits of having a pot rack in your kitchen are many. 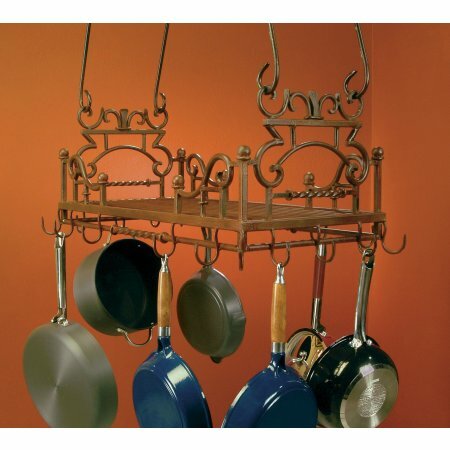 Pot racks are practical, save storage space, help keep your kitchen organized, and are decorative, besides. 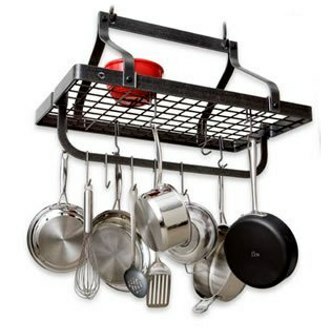 You can use the racks to display your cookware, yet have easy access to pots and pans each time you cook. 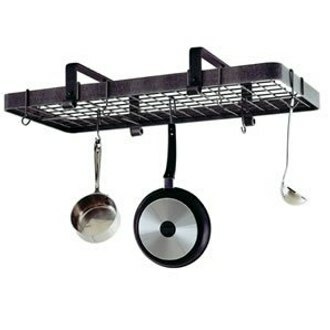 Since pot racks are available in numerous styles and designs, you can select a rack that holds just a few pots or a rack designed to hang or hold many pots and pans. 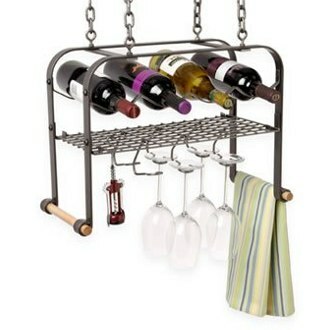 Some racks are made to hang from the ceiling, including racks designed for kitchens with low ceilings. 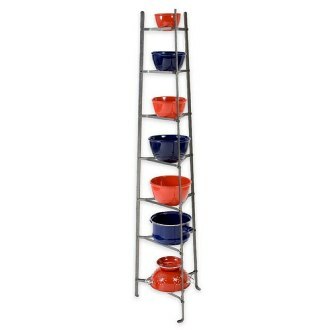 Other racks are stands for cookware that you can place in a corner or other area of your kitchen. 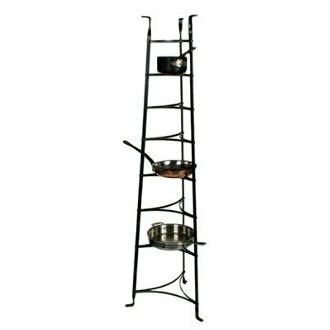 A standing pot rack also makes an attractive display rack for indoor plants anywhere in your home. 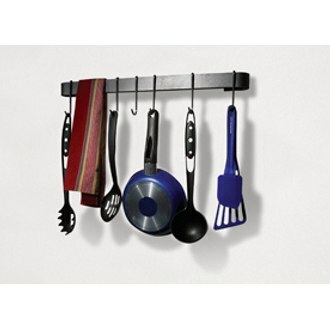 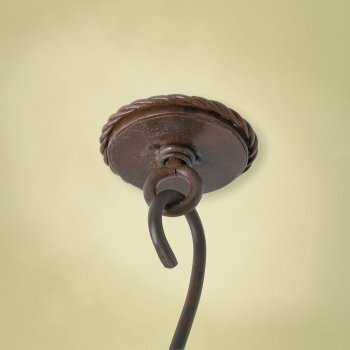 If you have a small kitchen, wall-mounted styles are available as well. 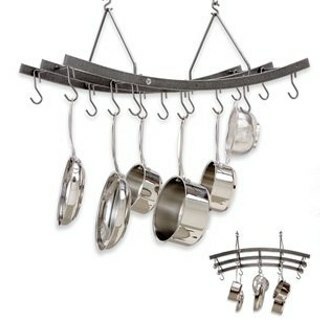 Some hanging pot racks have a shelf above that gives you a place to store lids and other cookware items. 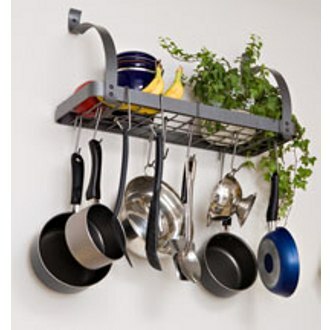 In addition to hanging your pots, you can use the hooks on a rack to hang cooking utensils and tools or fresh herbs from your garden to dry. 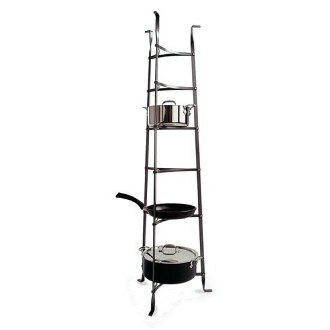 With a pot rack or stand, you don't have to shuffle through pots and pans looking for what you need to cook a meal. 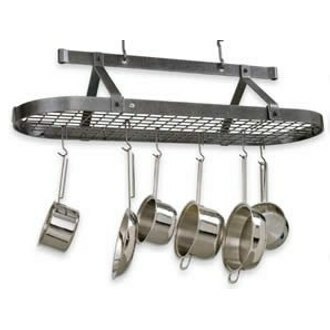 A pot rack puts your cookware in plain sight, ready to use. 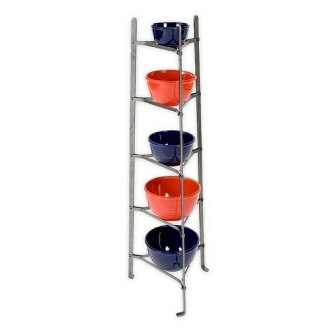 Less rummaging through cupboards to find the pans you need can also mean fewer scratches on metal pots. 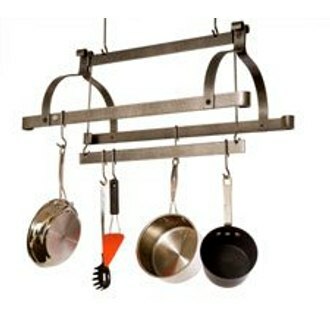 Whether your home has a gourmet kitchen or a rustic, country kitchen design, a pot rack adds a sense of style when you first enter the kitchen and see polished aluminum, stainless steel, or copper pots and pans on display. 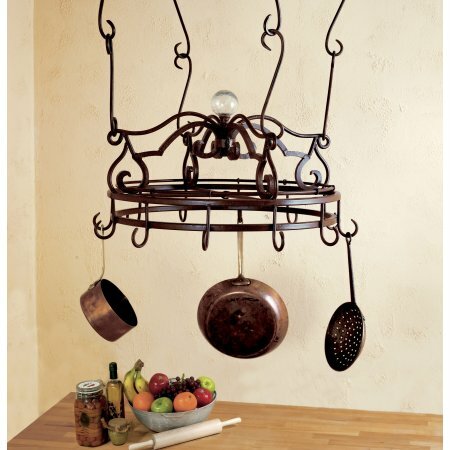 Not only are pot racks functional, they come in different textures and finishes that blend well with most any kitchen decor and show off the color and form of your cookware. 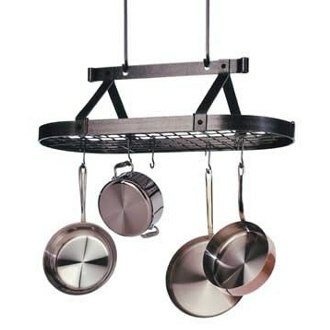 Pot racks are available in stainless steel, wrought iron, or a natural rust finish. 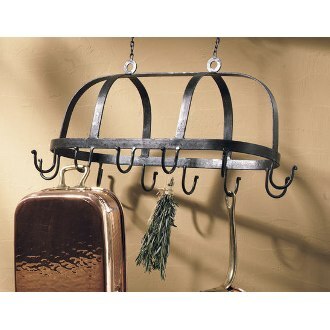 If you are looking for a pot rack that offers a special touch, some hanging pot racks come with lights. 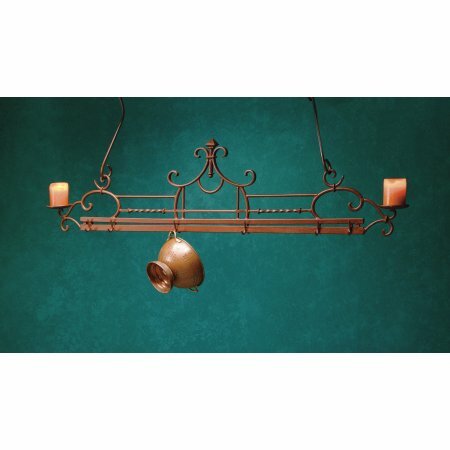 Other pot rack designs are fashioned with candle holders at each end to give a vintage appeal.